Cosmetic surgery is a booming industry. We've got everything from teenagers attempting to plump their lips with suction cups, to women wanting to physically emulate dolls. When someone goes under the knife for an elective surgery it is important for him or her to understand the risks they are taking. Even the simplest of procedures can result in mistakes or errors that could potentially harm the patient. If a surgeon fails to explain any or all of the side effects/risks of the surgery or does not give adequate post-op care the patient may also have a legal case for compensation. When seeking damages for negligence in cosmetic surgery, you can claim medical costs, loss of wages, and pain and suffering among other things. The first thing you need to do following any type of surgery, elective or not, is to heal completely. Your final "look" or result may not be accurate until weeks or even months in some cases. Next, have an open dialogue with your surgeon, ask any and all questions as you have them. Your health is nothing to be shy with. It's also a good idea to get everything in writing. Keep a record, including photos, of what you discussed and asked. After a meeting with your doctor send him or her an email highlighting your chat and ask them to reply confirming your understanding of the discussion. This email exchange could prove to be helpful down the road. There is a grey area when it comes to some instances. For example, when a patient is unhappy with the outcome of a surgery, even after attempted corrections this may simply be a perspective issue. The doctor(s) may have done nothing wrong, therefore, there is typically no legal case, even though the patient is unhappy. 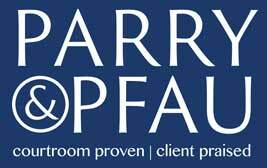 Pickard Parry Pfau can help advise you on cases involving plastic surgery gone bad. Give our office a call, we'd be more than happy to help assist you with your legal questions and concerns. Next week we'll have Part Two of Botched Beauty and look into what happens if you're injured while at the salon.